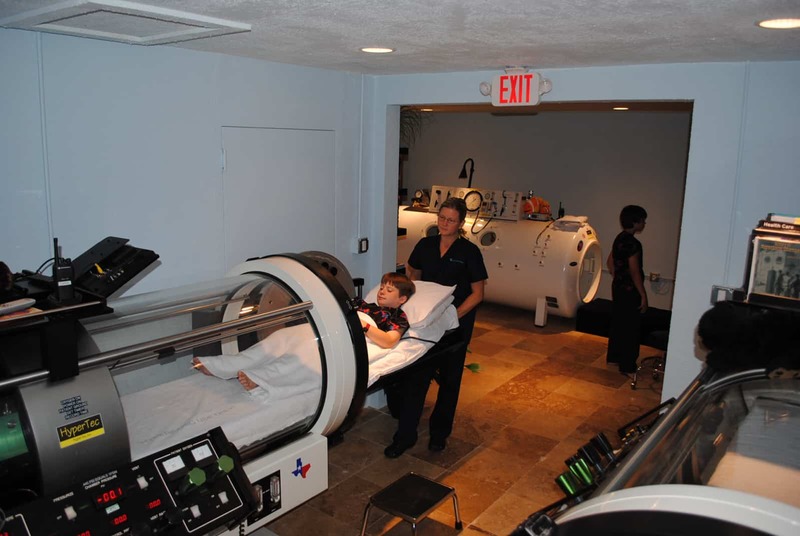 Hyperbaric Oxygen Therapy HBOT for Autism, Stroke, Lyme Disease, Cerebral Palsy, and more. 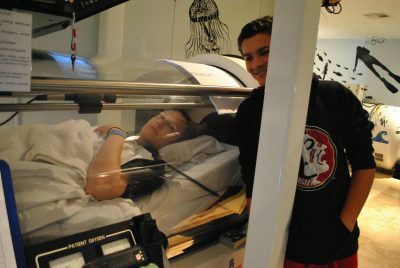 Hyperbaric Centers of Florida is a premier Hyperbaric Treatment Facility located in the Tampa Bay area. Our state-of-the-art Hyperbaric Clinic provides therapy to outpatients on a 7-day per week basis, closing only on major holidays. We serve all of North America as well as Caribbean, Latin & Central American Markets. 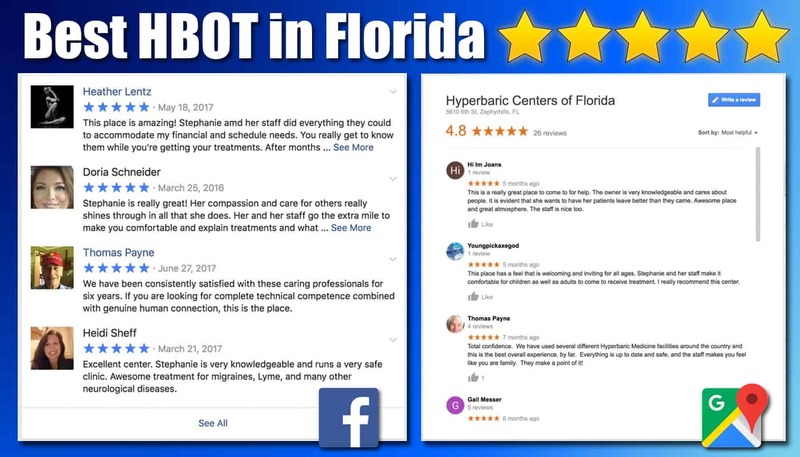 The Hyperbaric Clinic is equipped with Real 3ATA Monoplace and Multiplace Hyperbaric Chamber Systems that are ASME, PVHO, National Board, NFPA, and FDA 510(K) cleared and compliant systems. We are treating all approved indications and selected off-label indications, as directed by a licensed physician with written orders. 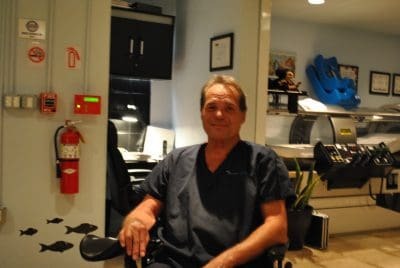 Hyperbaric Centers of Florida provides a clean, professional and caring environment for all of our patients. 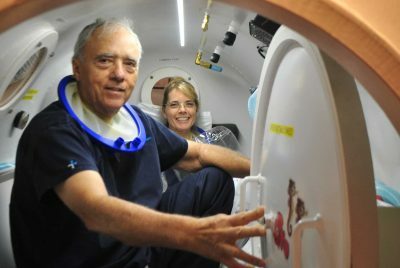 The founders of our new center have over 40 years of cumulative experience in Hyperbaric Medicine and providing Hyperbaric Oxygen Therapy for a broad spectrum of indications. 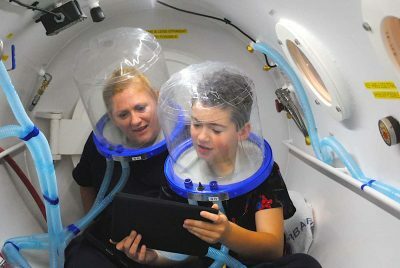 Hyperbaric Oxygen Therapy near me? With Hyperbaric Oxygen Therapy It is always more important to find a safe clinic with a fully trained knowledgeable staff rather than a close clinic. This is one reason people from all over the world travel to Hyperbaric Centers of Florida. We use Real ASME PVHO Chambers capable of 3 Atmospheres Absolute of pressure (29.4psi), Medical Grade oil-less / oil-free breathing air compressors, 100% Medical Grade Oxygen, Sea-Long Hoods, and 100% Cotton Scrubs. 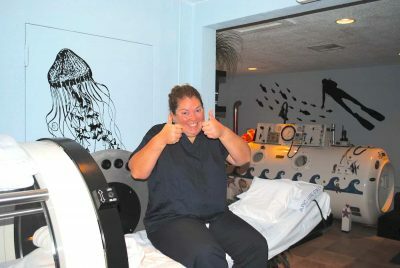 Hyperbaric Centers of Florida has a reputation of providing the safest and most comfortable treatments available. 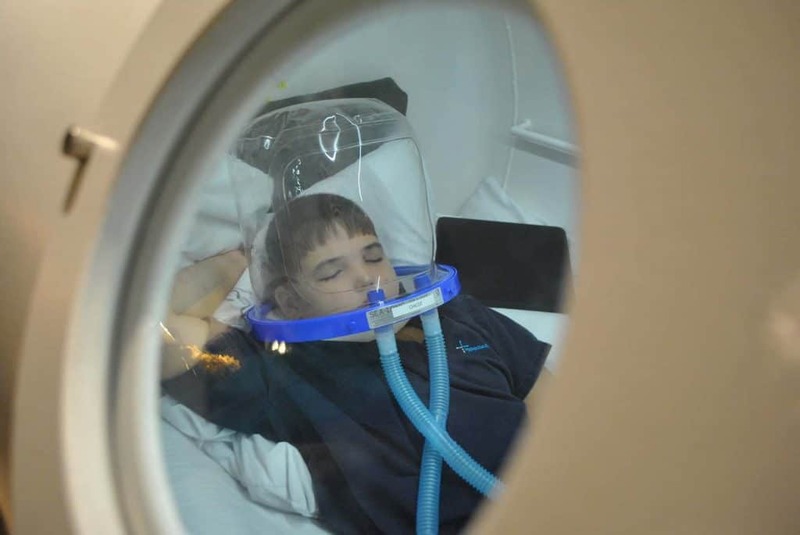 HBOT (Hyperbaric Medicine) is a medical treatment where a patient is placed in a medical device called a Hyperbaric Oxygen Chamber and pressurized to up to 3 ATA or 30 PSI with 100% Pure Oxygen. 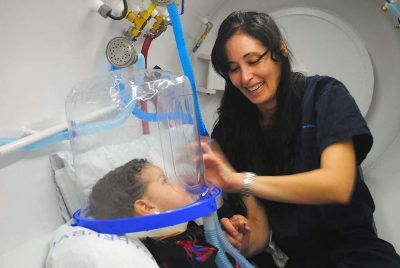 During HBOT the Hyperbaric Patient breathes the 100% Oxygen causing the body to replace all of the Nitrogen with Oxygen. This Increased Oxygen level promotes a rapid healing of the body and a detoxifying effect. There are a few Indications that are approved for reimbursement by insurance and a great number of indications that are considered unapproved or experimental. For these unapproved indications Hyperbaric Oxygen Therapy is ordered at the discretion of a Physician. 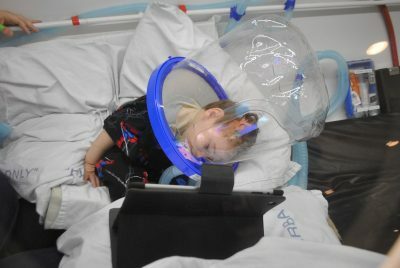 Experimental Indications are treatments such as Lyme Disease Treatment, Autism Treatment, Stroke Treatment, Traumatic Brain Injury or TBI Treatment, and Cerebral Palsy Treatment. 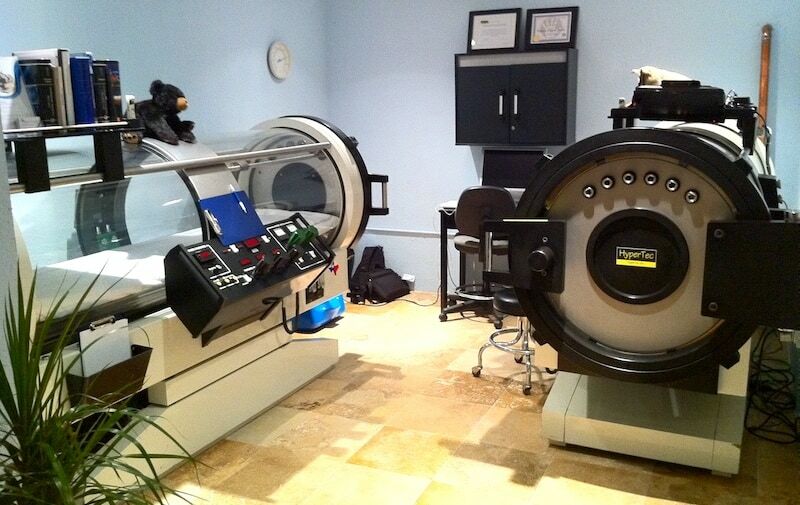 If you are looking for a Hyperbaric Chamber for Sale.